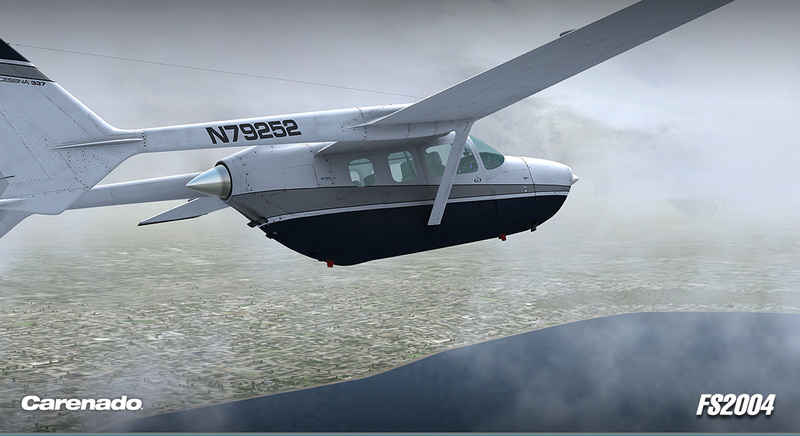 Pop up C337 Skymaster manual with normal, emergency checklist and performance tables. 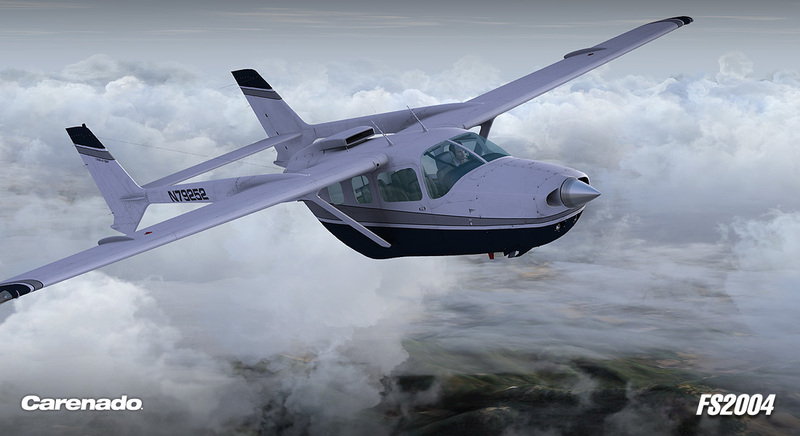 Tested by real Skymaster pilots. 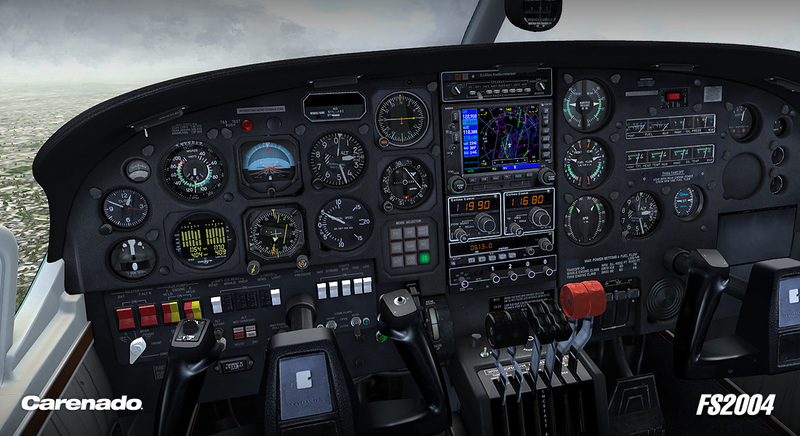 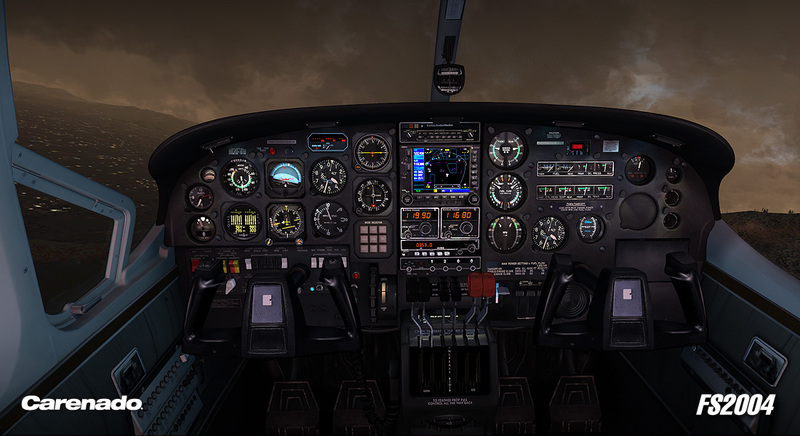 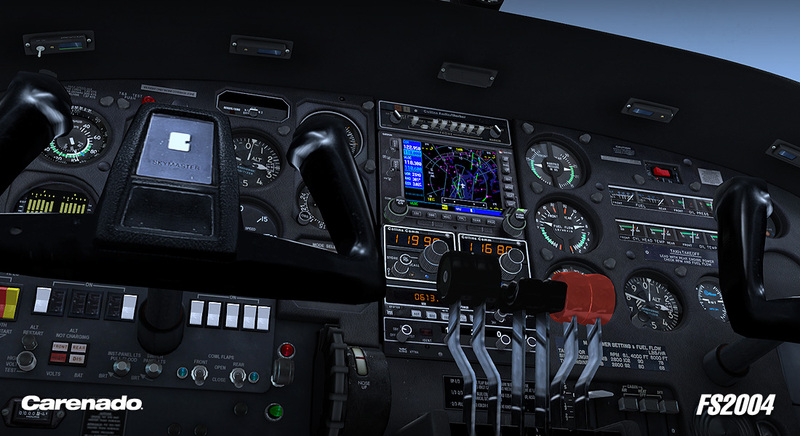 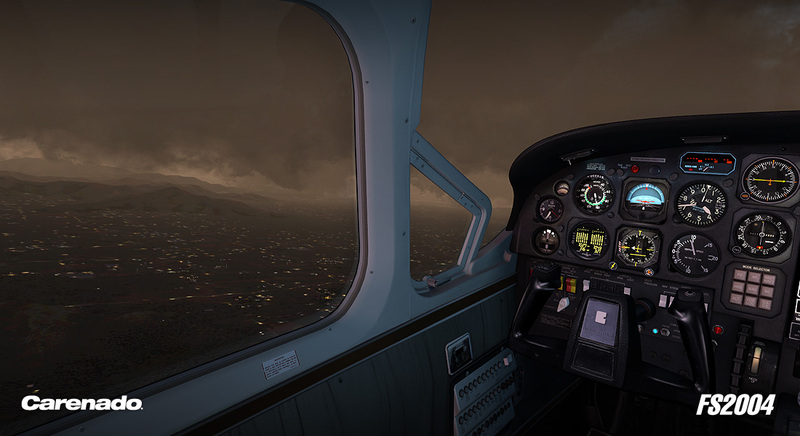 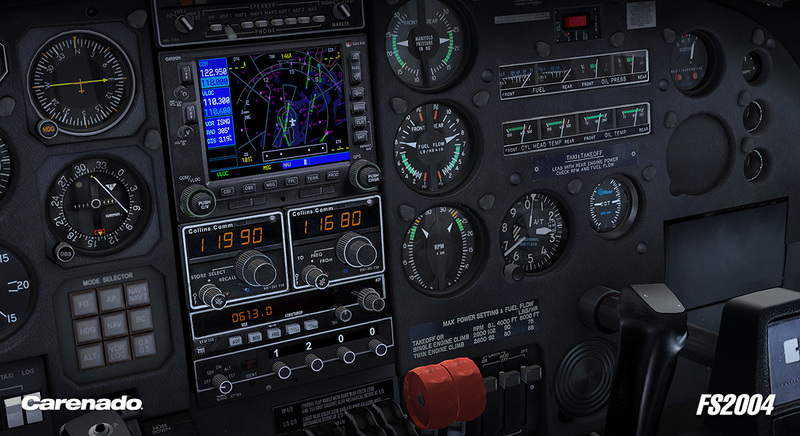 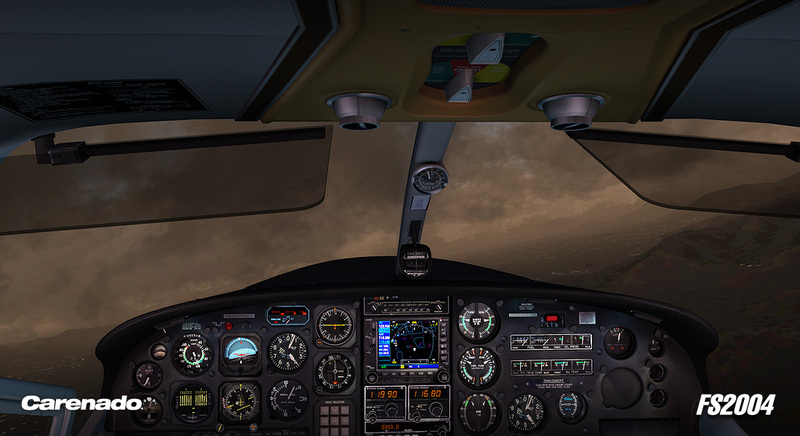 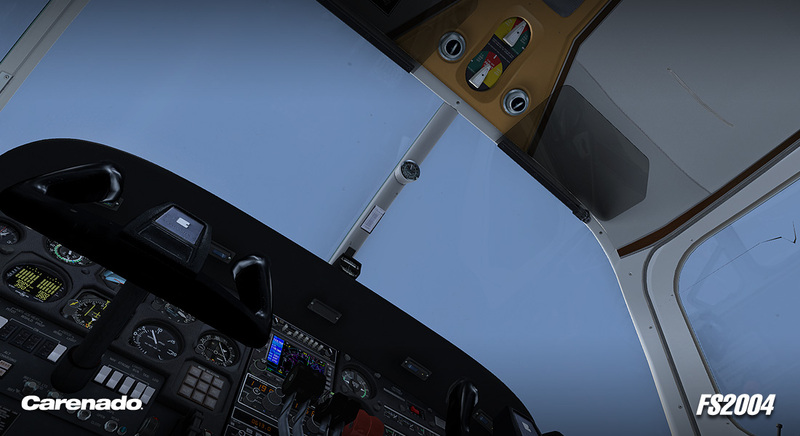 Realistic night lights effect on gauges and virtual cockpit. 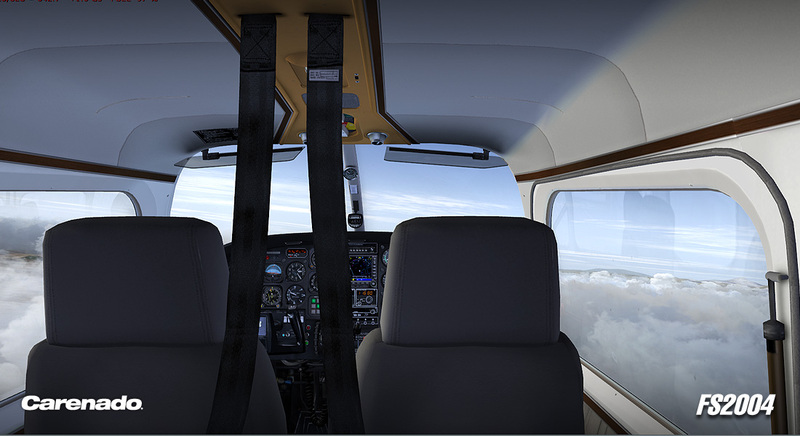 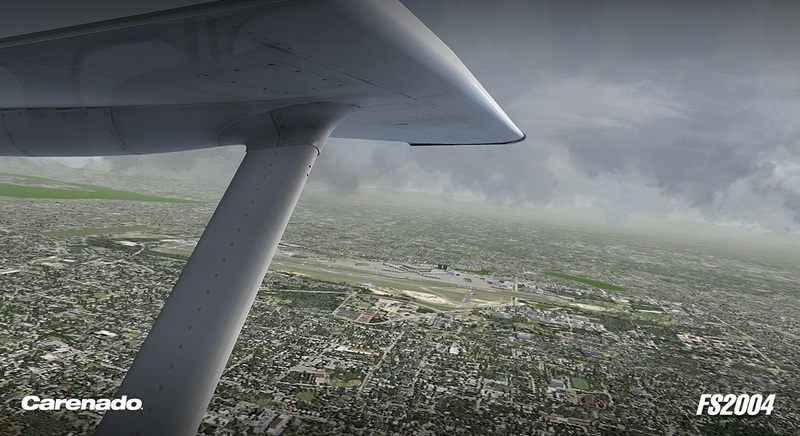 Animated sections such as: propeller, doors, windows, sunvisors. 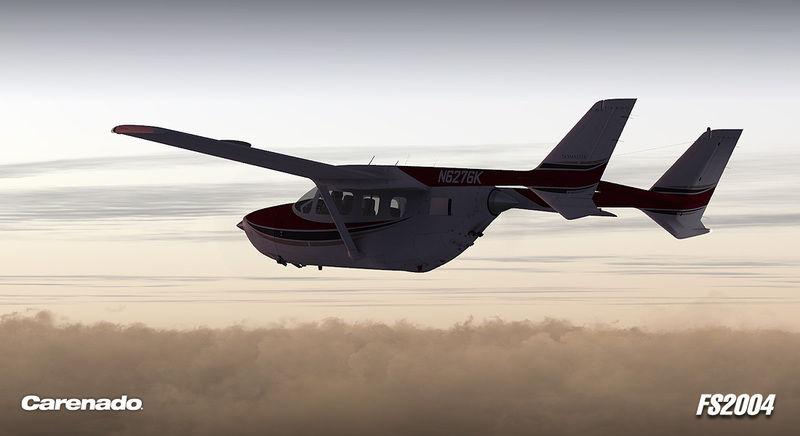 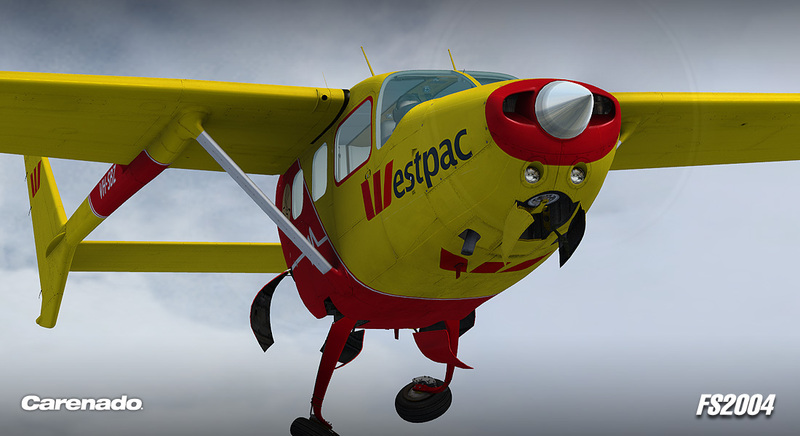 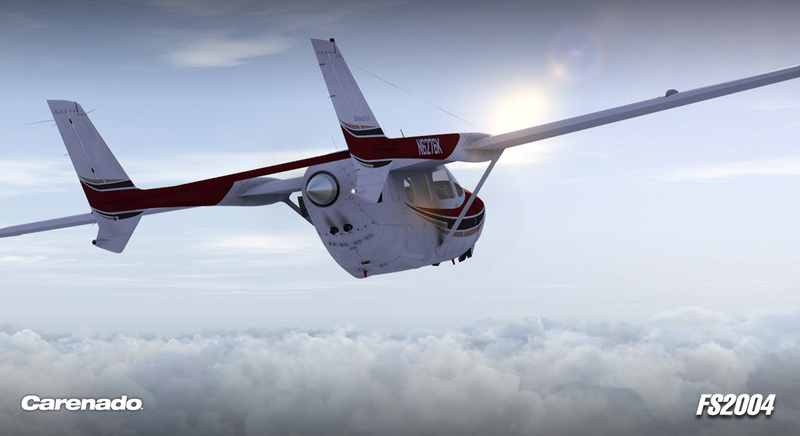 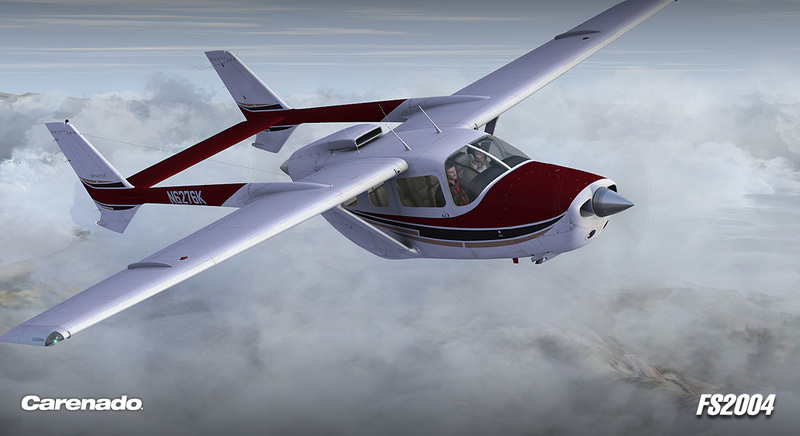 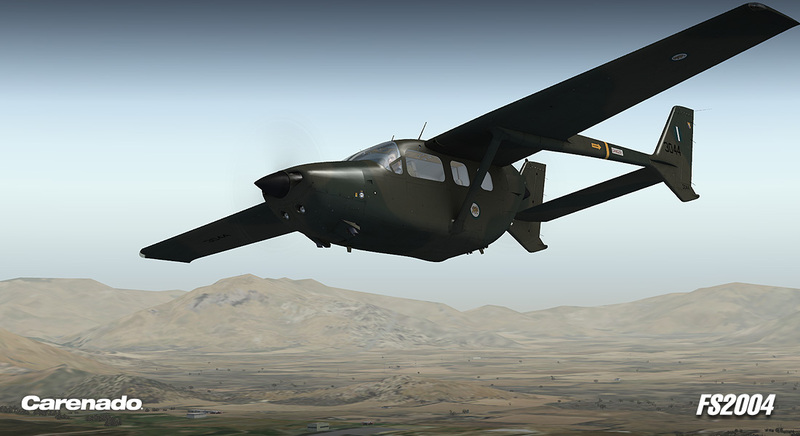 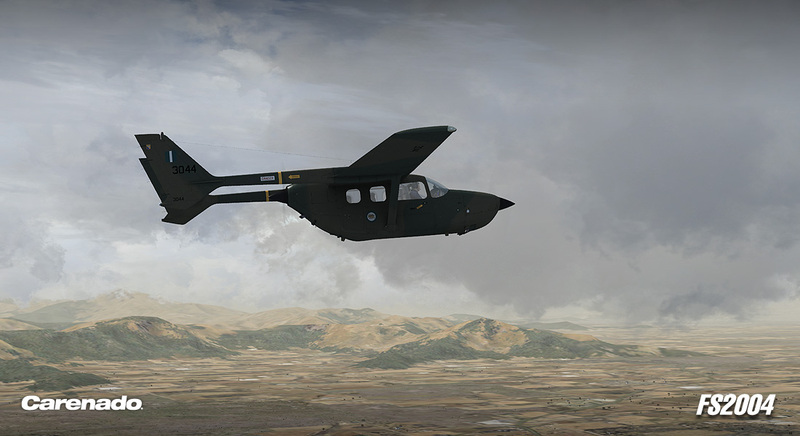 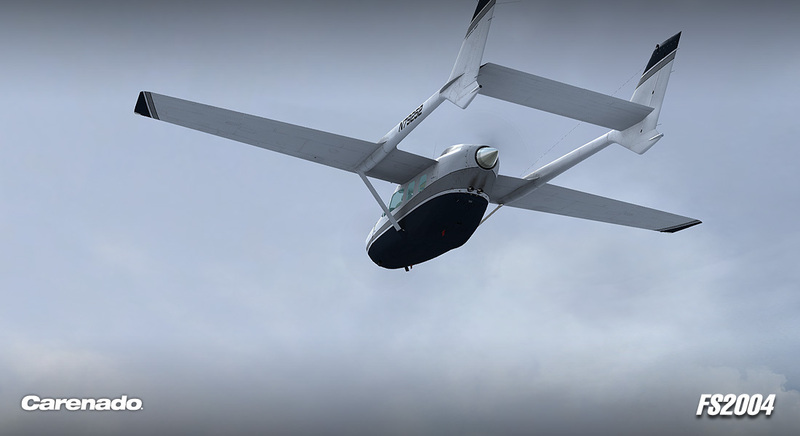 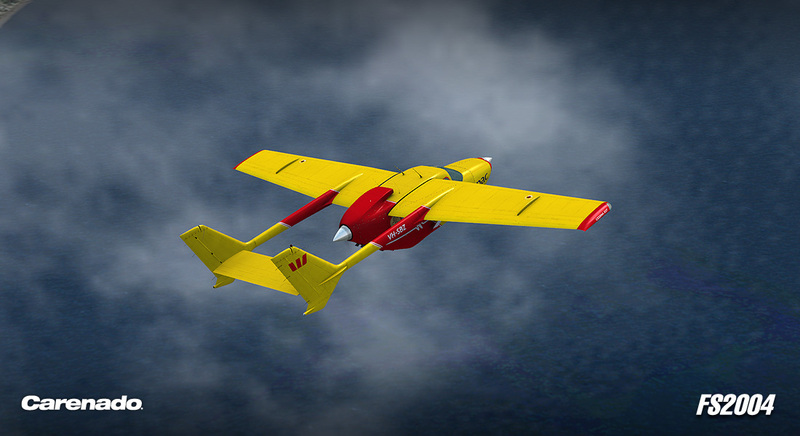 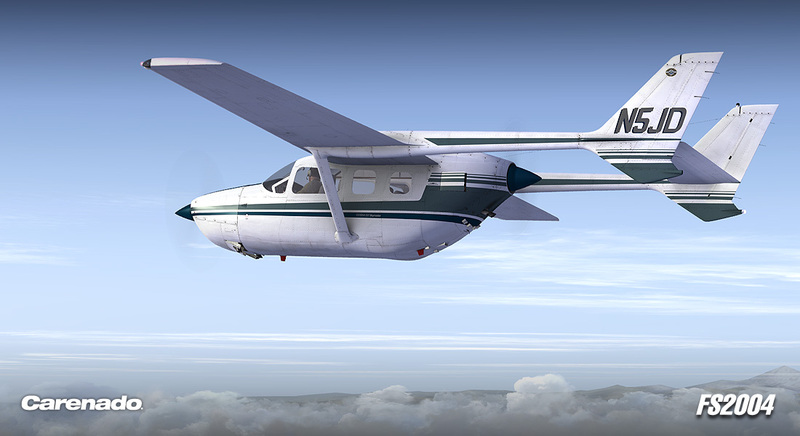 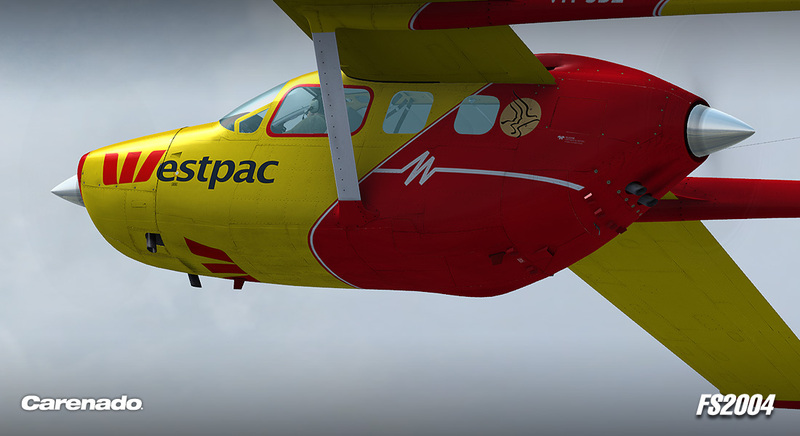 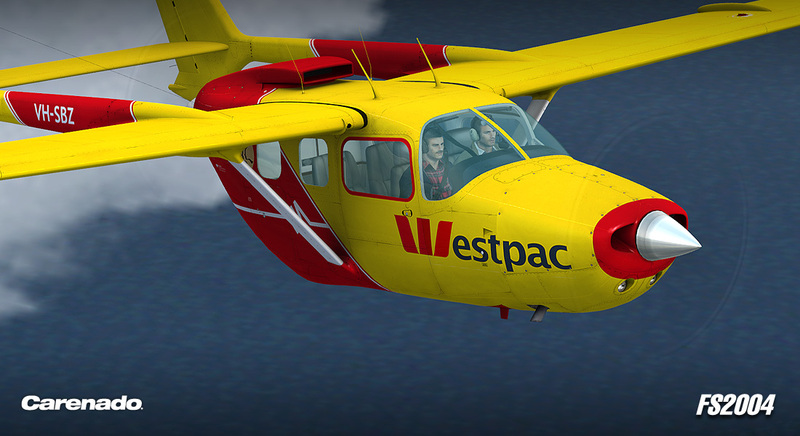 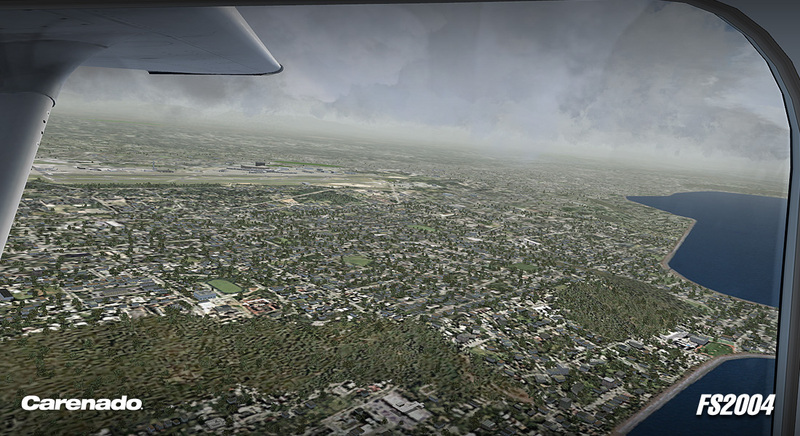 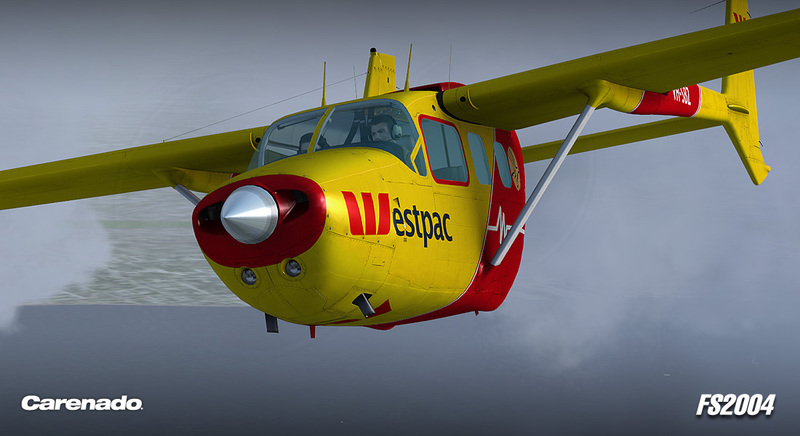 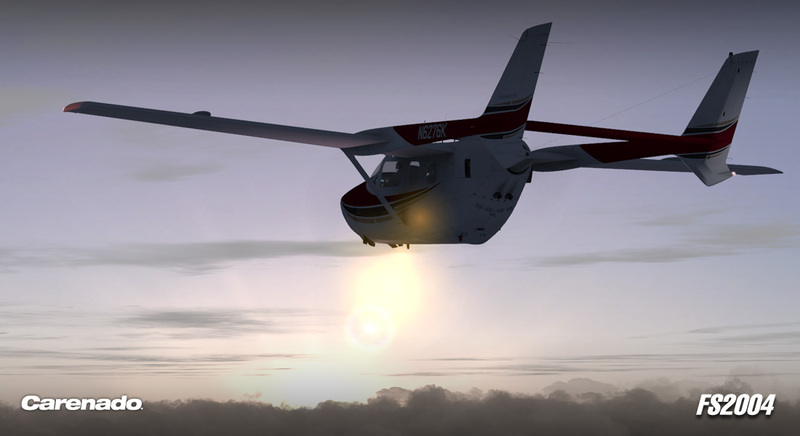 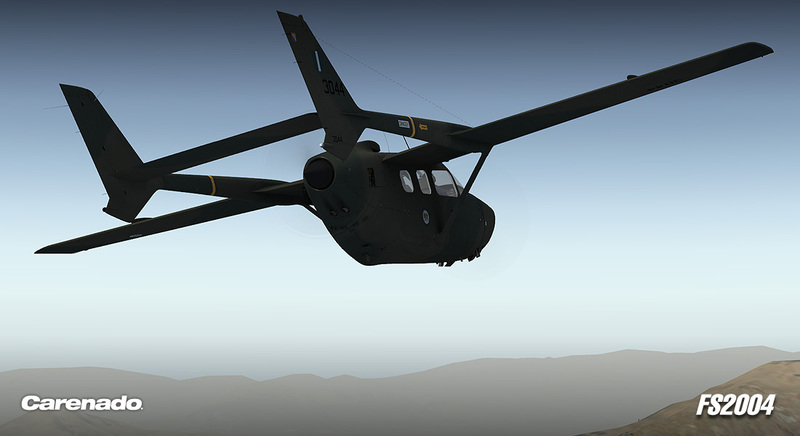 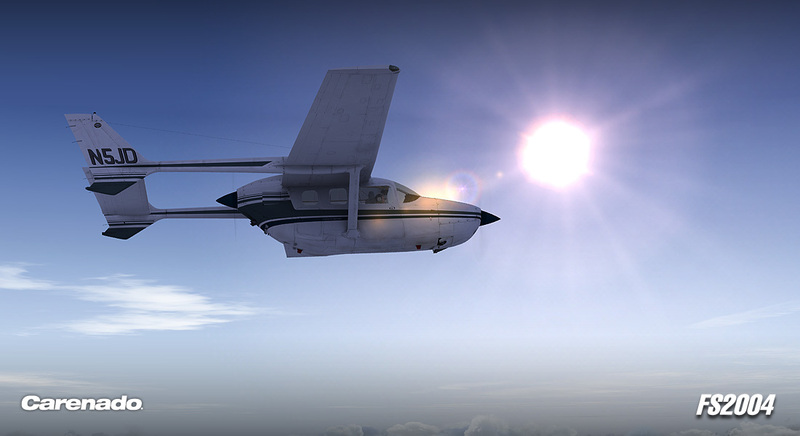 -Best FS2004 aircraft ever modeled. 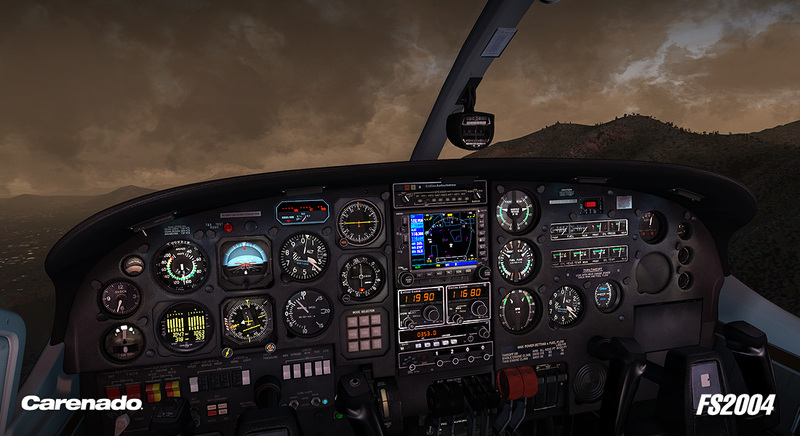 2 models (one pilot and two pilots). 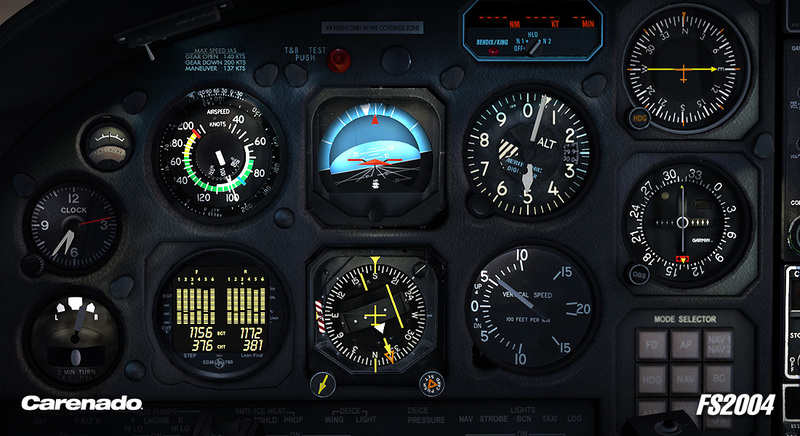 Normal and Emergency Procedures - Performance tables PDF. 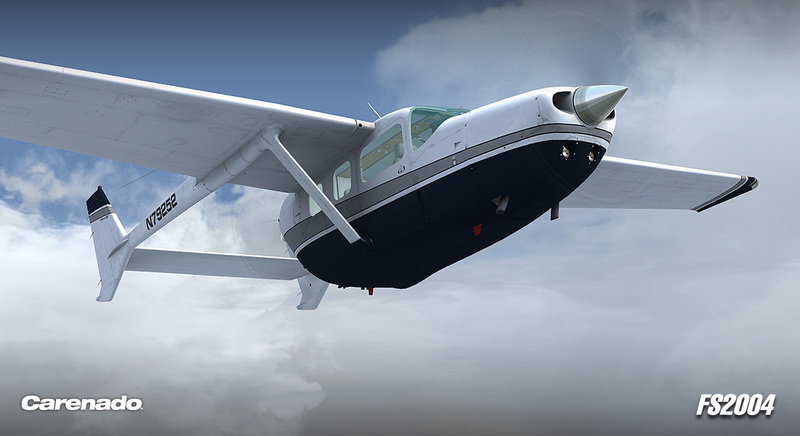 Carenado GNS530 Users Guide PDF. 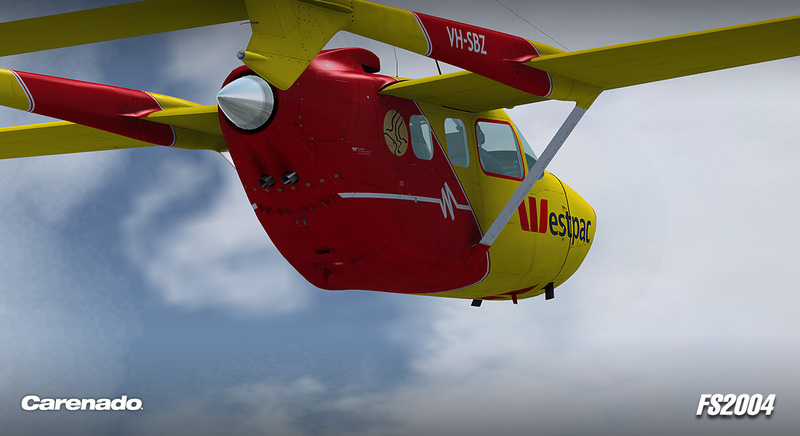 Windows XP - Vista - 7 (32 or 64 bits). 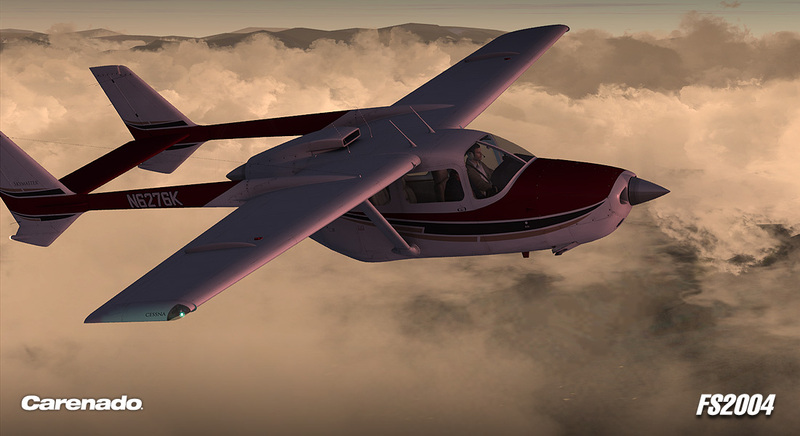 Pentium V/2GHz or similar 1GB RAM 128MB graphics card. 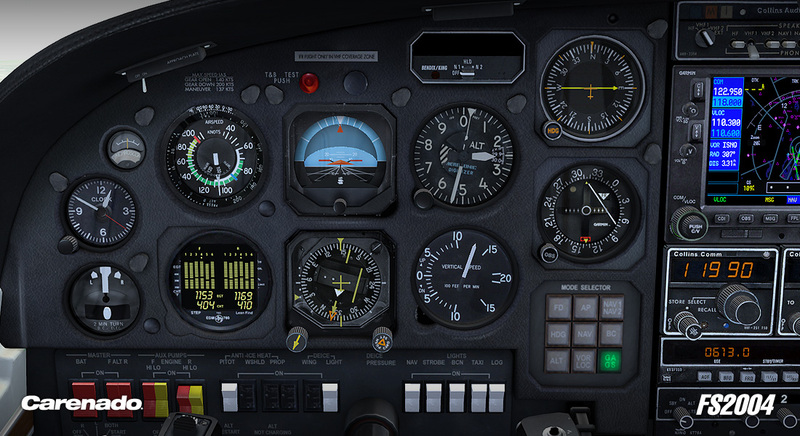 329MB hard disk space available.